We recommend using a natural or constructed grassed waterway to allow safe movement of surface water across the natural landscape, and from dams, the end of grade banks and other surface water disposal structures. We also recommend that grassed waterways are part of an integrated water and salinity management program. Well chosen natural or well constructed grassed waterways provide an effective and cost-efficient way of safely moving surface water from the ends of grade banks, diversions, dam overflows or other water concentrations to a stable discharge point. These structures greatly reduce the risks from erosion and flooding. on large catchments and for streams larger than second order, if people with appropriate stream engineering skills undertake design and construction. Grassed waterways are planned to discharge into first order streams. Discharging into streams of greater order must not interfere with stream flood peak flows or damage the stream banks. Identify any services likely to be affected by the construction of planned works. Discuss the plans with the service provider to confirm ways of avoiding any disturbance or damage. The critical time to install a grassed waterway is when vegetation cover is being established. suit the soil, water conditions and climate. Waterways are to be fenced on both sides of the channel or outside of levees, leaving adequate room for maintenance machinery. Provide livestock and vehicular crossings as necessary to prevent damage to the waterway and its vegetation. If trees and shrubs are to be incorporated, they should not be planted in the waterway channel. Bends should be avoided. Where this is not practical, they must not be acute as this places undue hydraulic stress on retaining banks and waterway surface. Sharp bends may make fencing difficult. Site characteristics are accurately measured. Soil types – at the construction site are determined and tested to ensure the stability of the proposed structure. Channel slope – can be on any slope or combination of slopes up to 10%. Catchment run-off peak flow – to be determined by a recognised method, such as the Flood Index Method or the Rational Method. Channel cross-sectional shape – is trapezoidal or parabolic in shape (Figure 1). Sideslope ratio of waterway bank to be no steeper than 2:1. Figure 1 Typical cross-sections for a grassed waterway. Trapezoidal on the left, parabolic on the right. Roughness coefficient – selected by using the Manning roughness coefficient table. The choice of roughness coefficient must be appropriate for the section of channel being planned. Channel depth and width must be calculated for each change in channel condition. Velocity – refer to the suggested maximum permissable velocities of flow table as design should not exceed these values. Planning methodology – use the Manning formula (external link) and roughness coefficients to calculate waterway flow depth and width for peak flow. Correct method of calculating hydraulic radius must be used with the appropriate cross-sectional shape. In the case of a shallow trapezoidal cross-section, hydraulic radius in Manning’s formula may be substituted by average depth. Capacity – sufficient to contain the peak flow run-off from a 20-year ARI (average recurrence interval) storm. Once design ARI is exceeded, the waterway will overflow. Greater capacity can only be built into the waterway by replanning for a greater ARI. This may be necessary where overflows from a planned waterway will cause other than superficial damage. Vegetation cover — on waterway channels and banks to be annual or perennial grass pasture species, or a mixture of both. Dependent on soil type, clover or medic additions to the grass mix are encouraged. Seed at double pasture and fertiliser rates. Outlets – shall be stable and of sufficient capacity to prevent ponding or erosion. The outlet can be another vegetated channel or natural waterway. Width – not to exceed 30m without allowance for multiple or divided channels. Channel cross fall between banks or levees – ideally to be zero. For up to 40m distance, it is acceptable to have a maximum of 10cm cross fall; however, this must be within design limits. Levees – when required, to have a maintained 20cm freeboard above design peak flow (Figure 2). Sideslope of levee adjacent to the flow to be no steeper than 2:1. Sideslope of levee outside of waterway to be no steeper than 6:1. Bank inlets – are incorporated in each levee sufficient to allow overland flows, outside the levee, to enter the waterway. Generally, inlets are not required where a grade bank system is installed in conjunction with the waterway. However, on steeply sloping land or where paddock run-off is excessive, additional inlets are recommended. If there is no grade bank system, inlets are required along the levee at spacings no greater than that of grade banks for the equivalent slope. Upslope opening of inlet has a freeboard of 20cm above design peak flow. Waterways must not divert flows from one catchment to another catchment that would not naturally receive that flow. Flow velocity must not be increased by the inappropriate use of additional freeboard to provide extra flow capacity. Eroded material from poorly planned, constructed or maintained waterways, can reduce flow capacities when deposited in downstream channels. Construct waterways with a grader or bulldozer. Use appropriate survey techniques to peg the alignment and width of the waterway, as detailed on the plan. Survey cross-sections and cut and fill pegged as required. Stockpile topsoil when filling or shaping, and re-spread over disturbed areas. Use machinery weight to compact the fill or shape. Construct levees from outside the channel, using appropriate techniques, resulting in the levees being compacted to the correct height including freeboard. Survey bank inlet positions for correct spacings and positions. Set the ends of the inlet to eliminate back flow out of waterway. Check level of the waterway channel surface to determine the accuracy of construction. Use levelling to confirm the levee freeboard. Grassed waterways greatly reduce the risk of water erosion – if they are effectively maintained! Do not cultivate grassed waterways. Maintain vegetation cover at 10–20cm high. Mow or periodically graze vegetation to maintain flow capacity. Reconstruct damaged channel floors and levees to original specifications. Do not use waterway as an access track or firebreak. Clement, J Bennett, M, Kwaymullina, A & Gardner, A 2001, The law of landcare in Western Australia, 2nd edn, Environmental Defender’s Office WA (Inc), Perth. Houghton, PD & Charman, PEV 1986, Glossary of terms used in soil conservation, Soil Conservation Service of New South Wales. Schwab, GO Fangmeier, D & Elliot, W 1995, Soil and water management systems, 4th edn, John Wiley and Sons Inc., Toronto, Canada. 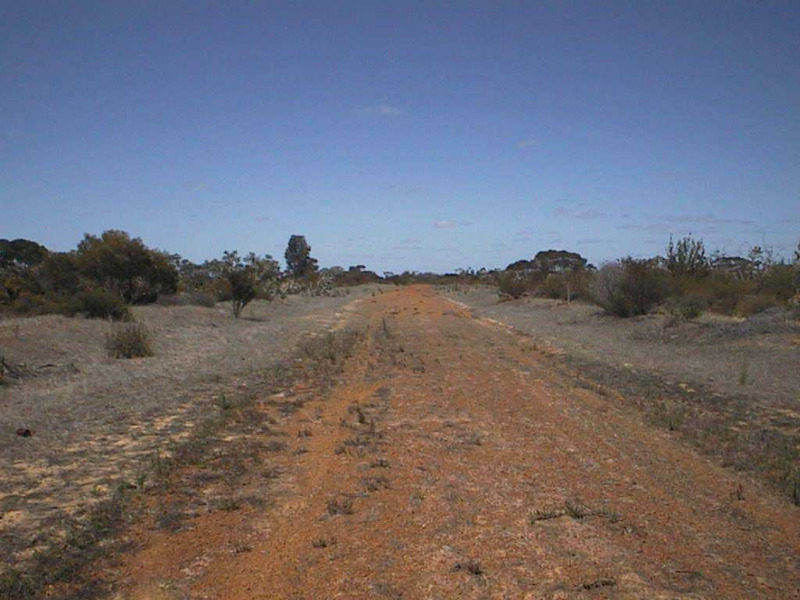 Keen, MG 1998, Common conservation works used in Western Australia, Agriculture Western Australia, Perth. Keen, MG 2001, Field pocket book of conservation earthworks formulae and tables, Department of Agriculture, Perth.